Having a crowd for brunch? 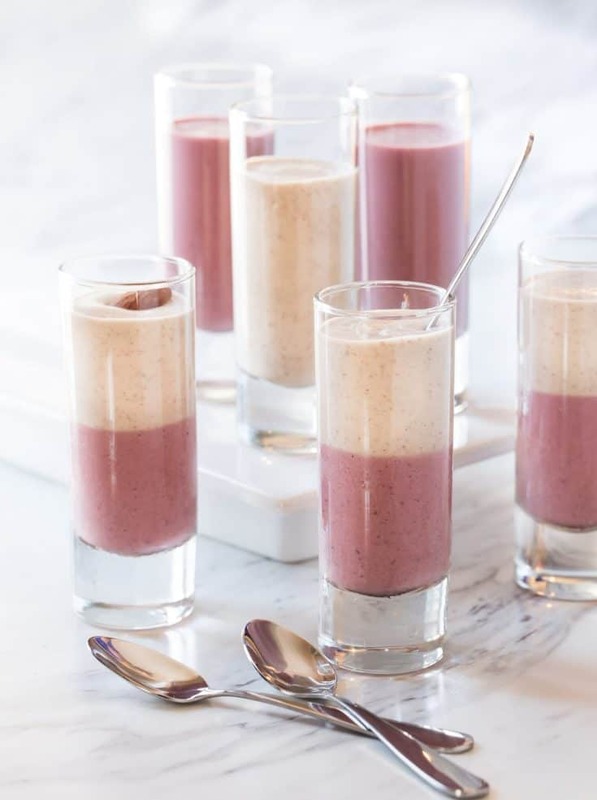 Make a colorful and healthy addition to your brunch menu with these adorable Cherry Almond Smoothie Shooters! Smoothies aren’t just post-workout rewards. 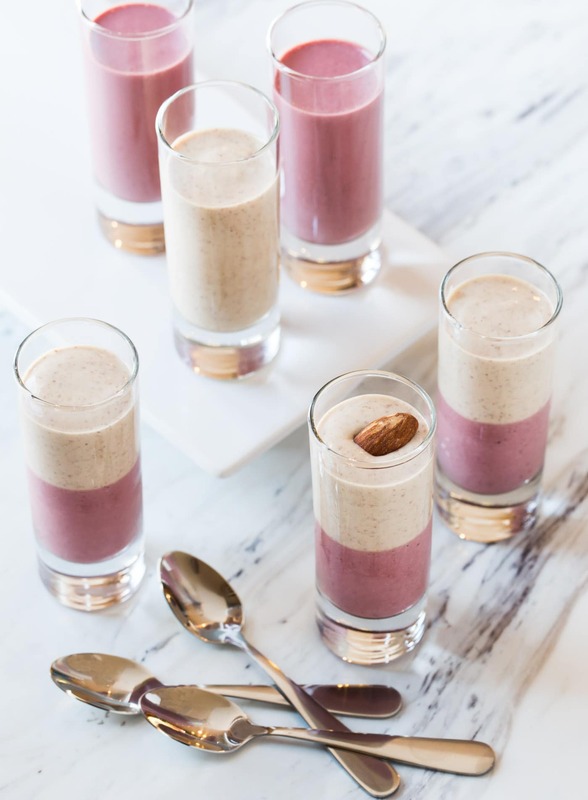 In fact, we’d argue that their unexpected presence on your brunch buffet will make your guests raving fans, especially these adorable Cherry Almond Smoothie Shooters. Never thought of including smoothie shooters on your brunch menu? You should! What’s not to love here? They are healthy, crowd-pleasing and can be made ahead of time. Sounds like perfect entertaining fare to me! Line up one or several flavors for your guests to enjoy. I opted to serve the smoothie shooters as singular flavors (cherry and almond) and then did a layered combo of both flavors. Garnish with cherries and/or almonds for an adorable addition to your brunch buffet. Tip: If you opt for the layered smoothie, slightly freeze the first layer of the smoothie first before pouring the second layer on top. This will help keep the layers distinct in the shot glass. Add ingredients to blender jar and blend to desired consistency. Add one flavor of smoothie to glass and freeze for about 20-30 minutes. Pour other smoothie flavor on top. Chill until ready to serve. Each recipe makes about 2 cups of smoothie. I have to try this! This smoothie looks delicious. Thanks, Marie. I hope you enjoy it!